Of course, experts such as those at the World Health Organization (WHO) have been meeting to get to the bottom of the crisis. 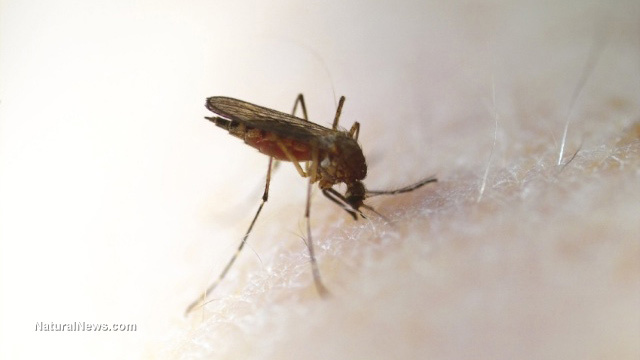 However, they may only need to go back as far as the release of GM mosquitoes in Brazil in 2015, just mere months before people in that region began giving birth to babies with serious defects. Indeed, it would appear that – once again – man's need to create a Franken-environment has created what might end up becoming a global pandemic. After all, the series of events is logical. The Zika virus was first discovered in 1947, and since then, only a few cases occasionally appeared. Throughout the years, some additional cases popped up, but nothing nearly as devastating as what's taking place today. Again, 4,000 babies in Brazil have been born with defects since October 2015 – the same year that GM mosquitoes were released into the wild, in the very same area where the problems are now occurring. The health effects that develop when humans tamper with everything around them happens time and again. It's everywhere, from the chemical violence that Monsanto unleashes and people's bad farming practices, to the vaccines and the release of genetically modified mosquitoes. People are becoming ill because of all the harmful things they're breathing, eating and getting poked and prodded with on a daily basis, and it's virtually never-ending. Ramping up? Sure, let's put more unnatural things into the world, focusing on a place that's already grappling with a serious health problem, that was likely sparked by genetic modification to begin with. It's a backwards world, indeed. Many technologies and various inventions have created wonderful benefits for this planet. Genetically modified foods and animals are not one of them.